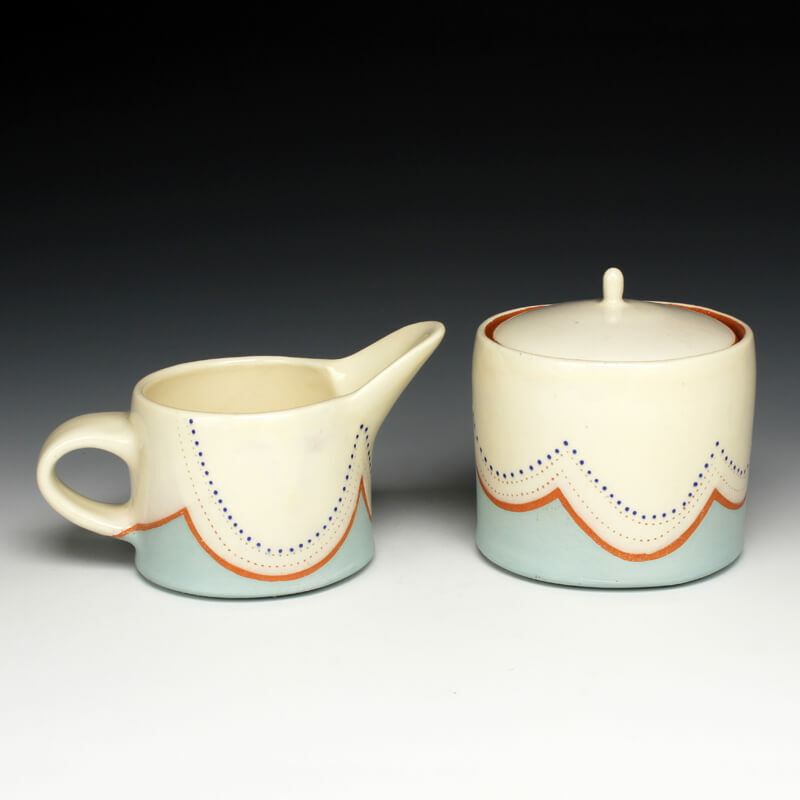 My designs are influenced by simplified abstractions of nature, children’s artwork, folk art, mid-century modern forms and shapes, as well as many books on ceramics and design. I love creating functional work because of the personal connection created when they leave my studio to become a part of somebody else’s daily routine. When I look in my kitchen cabinets, I’m reminded of all of the people I have met over the past few years. It’s nice to have these personal objects preserve the memories of places I have been and people I have met.